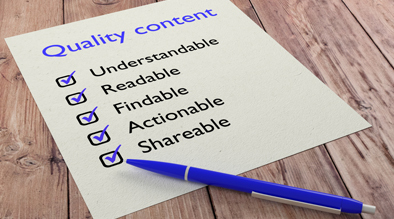 It is often said that “Content is King”, while that is true, an effective content strategy might need more than just creating the right content. At Milestone, we work with many clients and find that the right content served with the right context is even more important. An effective way to serve the right content is to understand the customer’s point of view, depending on the different phases of the customer journey. The travel customer journey is complex and can be better understood by breaking down the steps to understand the impact. Inspiration tends to be driven by email campaigns, social media or referral. For example, a friend goes on vacation and talks to you about it or you see their photos on Facebook, you then begin thinking about a trip. When consumers then search for travel, they tend to focus on social media, websites, and search engines to figure out what they want to do. So, simply do not think of the end purchase point. Capturing customer’s attention early in the purchase funnel, in the research and/or inspiration phases, can be a critical differentiator for a hotel. Further understanding how consumers revisit and engage with a business that inspires them is key. Once customers have made a purchase that does not mean you should lose sight, studies show that it is much easier to retain existing customers vs getting new ones, social media engagement and email campaigns help businesses stay engaged with customers long after their initial purchase. Focus on topics such as location, unique selling points, restaurants, meetings and wedding features. Hotels often just highlight specials, discounts and offers through their blog and social channels; these specials might come across as spam to the end consumer. Try to mix in hotel specials in a way that customers don’t feel disengaged with your content, you need to add additional value and personality. Content that is lasting and stays relevant to the reader is referred to as evergreen content. Topics such as local area information about things to do and local attractions is a very good way to generate interest and engagement. Evergreen content delivers right into the traveler’s customer journey; it helps them understand how to make the most of their time when staying in the hotel. Customers find incredible value in knowing about local area activities, things to do in the area. Local events is a great way to know what is happening in the near term in and around your hotel. Local events adds to the local experience and guest stays. Moreover, local events give guest visibility into the city and perhaps the extra reason to book a stay. Planning, creating, executing, and evaluating content is too large of an undertaking without software. Luckily, today there are solutions that will ensure an efficient and effective content marketing strategy. 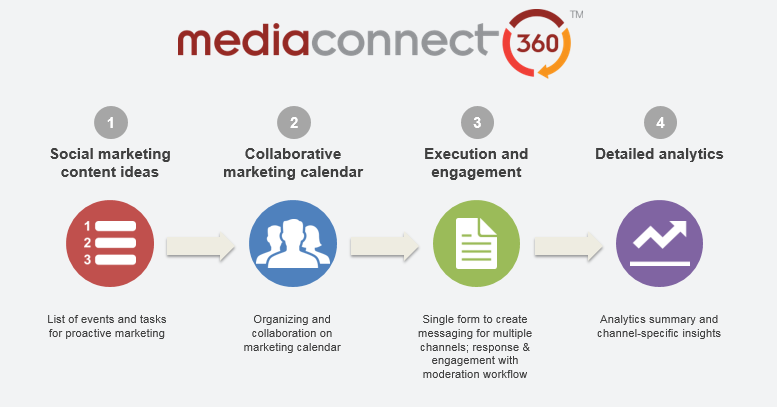 Milestone developed a social media platform, MediaConnect360, serving the hospitality industry with proactive and ongoing content for multiple channels. Our software has an integrated event calendar to generate content, including photos, to highlight local events and attractions. Hotels can focus on the consumer in the social space, drive engagement, and make sure that the hotel’s culture is liked, tweeted, or shared all in one tool. View your content in the eyes of your (various) customers and the journey they take as a customer. To engage your website visitors you need to serve relevant content, across devices, to meet the demands of the entire customer journey. Relevant content allows hotels to become local thought leaders, clearly showcasing the distinct personality of the hotel in front of the local community, media, and guests. Specific content examples are below. Milestone has been writing travel content for 18 years and has a deep understanding of the travel customer journey. If you need help creating content for your website (entire site or select pages), social media channels, or a platform to manage your content please reach out to us, [email protected] or +1-408-200-9055. A key objective is engaging digital marketing customers and allowing them to interact with the brand through servicing and delivery of digital media. Information is easy to access at a fast rate through the use of digital communications. Users with access to the Internet can use many digital mediums, such as Facebook, YouTube, Forums, and Email etc. Through Digital communications it creates a Multi-communication channel where information can be quickly exchanged around the world by anyone without any regard to whom they are.